Thinsulate insulated Go Green Kup Kollar on 24 ounce water bottle. 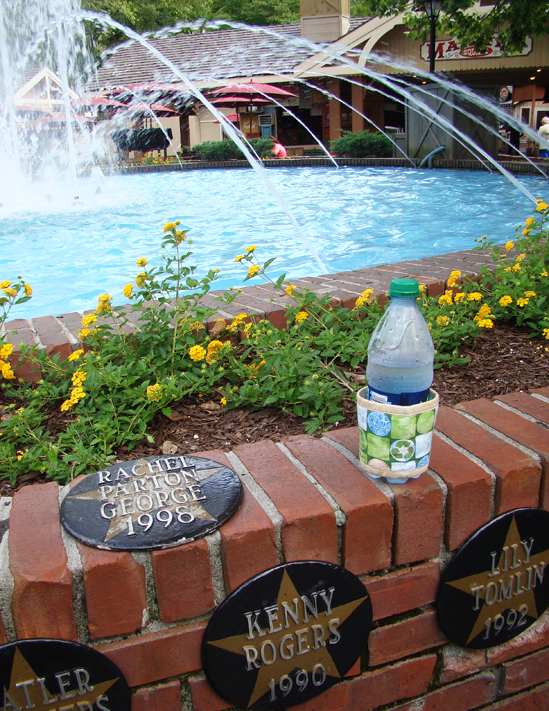 The coolness of my water bottle and resting at the Friendship Fountain was a refreshing break from exploring the grounds of Dollywood. I read the names of Dolly’s family and celebrity friends who have performed at or visited the theme park. 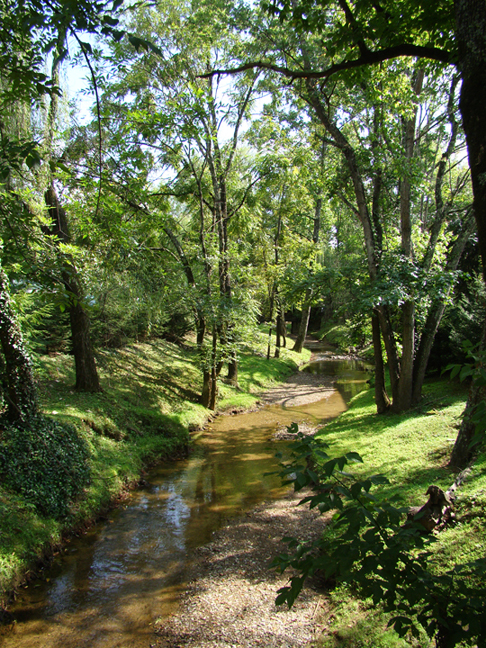 The landscaping of Dollywood is as beautiful as the surrounding Smokey Mountains. I shot this peaceful photo while standing on a small bridge. I think if I were a bird, I would live in this unique bird house! The Grist Mill was built in 1982.It’s the first fully functioning mill built in Tennessee in more than a hundred years. It’s a replica of mills used to grind bushels of corn and wheat for people living in the Smokey Mountains over a century ago. The Dollywood mill is famous for its fresh-baked cinnamon bread! Near closing time, it began to rain. My spirits weren’t dampened anymore than these ducks because I had a fantastic time exploring Dollywood!